When FICO introduced the new FICO 08 credit score in January, TransUnion jumped on board, but Equifax and Experian did not. Now Equifax will also make this newest version of the FICO score available to lenders and businesses. Equifax calls the new score “Beacon 09″ and joins FICO in saying that it is the most accurate scoring model yet for predicting a consumer’s credit risk. Some things will remain the same. For instance, the scores will still range from 300 to 850 and consumers will still have to meet minimum criteria to even have a credit score. In order to generate a score, a consumer must have an account that has been open for six months or more, and that has been updated within the past six months. Since many small companies such as utilities don’t report to the credit bureaus, consumers need to have some kind of credit card, car loan, mortgage, or other account that does report. In addition, your credit report must not indicate the word “deceased.” This can be a problem for a spouse who has held all accounts jointly. Good news for some consumers is that under the new scoring model, a one-time mistake such as late payment won’t count so heavily. In fact, consumers whose scores have dropped due to such an entry will probably see their scores go up. The bad news is that the new model will put more weight on the total debt load a consumer carries. It will become more important than ever to pay down debts and maintain a large margin of unused credit. “Piggybacking” will once again carry some weight, because of new technology that will help prevent its abuse. This practice, in which an authorized user could “piggyback” on someone else’s good credit rating, led to abuses in the past. The old FICO scoring model will still be available and will be used by companies who choose not to switch over. Predictions are that most users will be smaller lenders because the change will be complicated for large lenders. Experian is currently in a lawsuit with FICO and there is no word on when or if it will adopt the new model. Since Experian severed ties with myfico.com, Experian’s FICO scores have not been available directly to consumers but could still be accessed by banks and other lenders. Get all 3 Credit Scores Before the February 14 Deadline! Unless an agreement is reached between Fair Isaac and Experian before February 14, you as a consumer will no longer be able to access your Experian FICO credit score. On January 15, Experian notified Fair Isaac of the intention to end their 6-year partnership with myFICO.com. They will continue to sell FICO scores to lenders and other businesses, but consumers will not be able to access the Experian score through myFICO.com or any other source. Experian credit reports will still be available to consumers, but without the FICO scores. Equifax and TransUnion will continue to make FICO scores available to consumers through myFICO.com and various on line websites, including (http://www.creditscorequick.com/ and http://www.freecreditscorequick.com/). Given the animosity generated by an October 2006 lawsuit filed by Fair Isaac against the three credit reporting bureaus, this move is not entirely unexpected. In that lawsuit, Fair Isaac alleged that Equifax Inc., Experian Information Solutions Inc., TransUnion LLC and VantageScore Solutions, LLC had violated anti-trust laws and engaged in unfair competitive practices when they launched the VantageScore credit scoring model in March 2006. In mid-2008 Fair Isaac Corp. agreed to dismiss Equifax Inc. as a defendant in that lawsuit, stating that Equifax Inc. had stopped the unfair practices and that the two companies were working together to release the new FICO 08 model for Equifax customers. The new model is similar to the current model, but with enough significant differences that consumers will not be comparing “apples to apples” when looking at their FICO scores from both Equifax and TransUnion. The outlook for consumers is not good. With America experiencing the worst economic climate since the Great Depression, consumers need more access to their credit information, not less. But unless Experian and Fair Isaac come to an agreement before February 14, consumers will be left in a state of confusion. TransUnion will be offering FICO scores under the old model; Equifax will be providing scores using the new model; and Experian scores will be available only to lenders and other business entities. This is the second time that Experian has threatened to terminate the partnership, so hopefully the two companies will once again be able to reach agreement and continue working together. The problems may work out to everyone’s satisfaction. But meanwhile, the best course of action is to get your 3 free credit reports - with all 3 scores – today. CreditScoreQuick.com your resource for free credit reports, credit cards, loans, and free credit repair advice. Many tenants assume that their landlord is rich, but that’s not always the case. In fact, that’s often not the case. Owning real estate has long been considered a way to build a nest egg, so many would-be real estate tycoons start with one single family home and try to add more houses and apartment buildings as time goes by. If they’ve purchased for the right price and can keep the units rented for more than the monthly payment, they see a positive cash flow and begin building a bank account. But, if times get tough and they’re unable to keep their properties fully rented, or if repair costs escalate, those properties can become a liability instead of an asset. If other financial disaster strikes, they may even begin using the rent money for the mortgage payment on their own homes. Since landlords and tenants don’t usually discuss the landlord’s financial situation, tenants can be caught unaware when the house or the apartment they occupy suddenly goes into foreclosure. Remember that only owner-occupied homes are eligible for relief under the Streamlined Modification Program, so foreclosure of rental properties is a very real possibility. 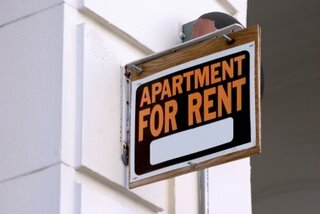 To address this problem, Fannie Mae announced that it would introduce a new policy in 2009 to give aid to renters. While the rule of thumb used to be that all REO properties remained vacant, now people living in foreclosed properties will have the opportunity to sign a new lease with Fannie Mae while the home is marketed for sale. They may also be given money for moving expenses. Freddie Mac is working on a similar plan. Of course, not all homes have a mortgage with Freddie or Fannie, and a tenant wouldn’t know if it did or not until they were notified after foreclosure had begun. So, if you have cause to believe the home you rent might be going into foreclosure, investigate the laws in your state to learn how long you will be allowed to stay after a filing. Since foreclosure actions, judgments and bankruptcy filings are all public record, you can also do some investigation to see if any trouble is brewing. Any action related to your landlord should be listed in district court records or at the County Recorder’s Office. If you’ve been dealing through a rental agent and don’t even know who your actual landlord is, you can find out through cross-referencing from the address and legal description. Even renters need good credit scores now, so be prepared for a possible move with the highest possible FICO scores. Get your credit report – with scores – and see how you stand today. Then, unless you’re already hovering in the mid 700′s, begin taking steps to raise that score. No, I’m not talking about your political persuasion. I’m talking about your spending habits and how they’ll affect your credit score. If you’re very conservative, you’re very careful about how you spend – you may even pride yourself on waiting until you have the cash to make a major purchase. Thus, you have no credit cards, no car loan, and no account at the appliance or furniture store. Unless you’ve inherited real estate or bring home a phenomenal income, it probably means you don’t own a home – and at some point in the future you will need to apply for credit. You might walk into your local mortgage company office feeling pretty good about yourself and feeling confident that you’ll get the mortgage you want at the lowest possible interest rate – because you’re a responsible person and have no debt. Strange as it may seem, lenders want you to have debt. They want to see that you have a history of paying bills on time, and if you have no bills, you have no history. In the past, we were able to help people get mortgage loans by showing the lender all their receipts for rent, phone bills, power bills, etc. But in today’s “running scared” mortgage market, that might not work. So what should you do? First, get your free credit report and see what your FICO scores actually are. It’s always best to know where you’re starting from if you intend to go somewhere. Next, begin building your credit. You may have to begin with a secured credit card, but since you have no adverse history, you may be able to obtain a card with a low credit limit from a mainstream source. Once you have the card, begin using it to make small purchase. Or use it for a few large purchases – such as gasoline! When the bill arrives, pay it in full and continue charging those purchases. In a few months this activity will show up on your credit report. Then, get another card and do the same thing – but be careful not to exceed 30% of your available credit on any one card during any one payment period. The amount you owe is reported as the amount on your monthly statement, so use the statement, not the calendar, to determine how much you can spend in a given month. After you have a few month’s history with your credit card, ask to have your limit increased. Not because you want to use it, but because your credit report will then show more available credit that you aren’t using. Check your credit report again regularly – and have fun watching those FICO scores as they go up and up! If your credit score is sagging, the sad truth is you probably won’t get a mortgage loan this year, or in the near future. Lenders are running scared these days, facing huge losses as one in 171 households fell into foreclosure during the second quarter of this year. That’s up 121% from last year – a whopping 739,714 homes in all. And that’s just for the period from April through June of 2008. And, while the President just signed a bill authorizing the Treasury department to rescue Fannie Mae and Freddie Mac, the original lenders will be taking a hit. The new legislation is aimed at refinancing loans that are in trouble, and giving Fannie Mae and Freddie Mac Federal insurance against future losses, but will require the original lenders to reduce the principal on those loans. The outcome of this legislation remains to be seen, but taxpayers have a right to be outraged. This law retains the hybrid nature of the mortgage finance giants, which are private companies with publicly traded stock, but which now have an explicit guarantee of help from the government — an arrangement that critics say privatizes the profits but socializes the risk and any losses. Many believe that the current crisis is the result of aggressive loan programs. When lenders qualified new homeowners based on deceptively low introductory rates, it was a recipe for failure. Some ethical mortgage lenders refused to take part, while others counted their commission checks and laughed all the way to the bank. As those rates jumped from 1.99% – or even 0.99% – to 6 or 7or even 8 percent, payments doubled, or even tripled. Meanwhile, wages did not. Add in the current fuel prices, and it’s no wonder that sub-prime borrowers are losing their homes – and no wonder that lenders have suddenly realized that giving credit to people who can’t pay isn’t such a good idea. What all this means to you – aside from the fact that the national debt level has just been increased by $800 Billion – is that your credit score is more important than ever. If you plan to get a mortgage loan any time in the near future, your best plan is start working to raise that FICO score to the highest possible level. Step one is to get your free credit report, right here at creditscorequick.com. Read it carefully so you know your starting point, and then get to work on making it as good as it can be. Fair Isaac’s FICO score 08 will restore Authorized user accounts. This is great news, due to the fraud in the credit repair industry; credit repair companies were buying authorized user accounts to boost their client’s fico scores during the credit repair process. Fair Isaac found out and put an end to allowing authorized user accounts improve your over all credit score. The problem with this move was there are over 50 million legitimate authorized credit card users. With the new FICO 08 this could potentially bring the fico scores down for those legitimate account holders. Scientists with FICO released news today that they have discovered a way to restore authorized user accounts to the calculation of FICO 08 credit scores while materially reducing the impact to the credit score tampering. This technology breakthrough resolves an industry problem that has perplexed lenders and concerned banks. Fair Isaac states that they have developed technology that will reduce any impact on the FICO 08 score from intentional tampering, while allowing the scores of spouses and other genuine authorized users to benefit from their shared credit history. This new technology rollout should be done within a couple of weeks. Fair Isaac stated they are working with the credit bureaus closely to bring FICO score 08 to the public soon. This is good news; because the way it was would affect a lot of people. Potentially with the older FICO 08, you would be penalized for being an authorized user on a credit card. With this new roll out, it will help those that legitimately are authorized users. Who looks at your credit score? Everyone knows that mortgage lenders and car dealerships / lenders look at your credit score. It’s their way of deciding if they should lend you money, and if so, at what rate and terms. The better your score, the lower the interest rate and the longer the repayment period. But who else is looking? Telephone companies and satellite Television providers are two of them. And why? Because they’re providing a monthly service and want to know if they can count on you to pay that monthly bill. I know – they can simply discontinue service if you don’t pay up, but the paperwork costs them money and they’d rather not deal with it. In addition, some of these companies invest in free equipment at the outset of your service, counting on your monthly payments to return that investment. If you simply stop paying after just a few months, they’re out the cost of that equipment as well as the cost of processing paperwork. Insurance companies are next. Using statistics gathered over the years, insurance companies have come to believe that customers with high credit scores are not only more likely to pay their insurance premiums in a timely manner, they’re less likely to file claims. Is this because those people with high credit scores are more responsible in all facets of their daily lives? Or could they be fostering a belief that people with poor credit scores are more apt to file bogus claims? I don’t know the answer to that, but since so many people do file insurance claims that have no bearing on the truth, it could be that they have some statistical information to indicate that they are. Finally, there are your future employers. With the high cost of training employees, employers want to hire correctly and avoid turnover. So they’re looking at things they never did before. For instance, you’ve probably read stories about prospective employers Googling applicants’ names to learn more personal information about them. Many’s the foolhardy person who has lost out on a position of responsibility because a prospective employer either saw a foolish video on U-tube or read blog posts indicating that the person they were considering is a bad choice. In other cases, past employers have refused to give referrals because of “bad-mouthing” they received on an employee’s blog. It’s no wonder that they check your credit report to determine your levels of personal responsibility. Managing your money well really is a sign of responsible behavior – and that’s a trait that every employer wants to see in every employee. Order your free credit score today – and find out what everyone else knows about you! My Credit Scores have dropped due to new credit cards-Why? The venture to build a good credit score is sometimes aggravating and exhausting. If you have never had credit or let all your credit go to collection, the first step on building your credit scores is building or rebuilding your credit report. Anyone that understands this process will tell you your first step is to get some secured credit cards. There are some matters you need to know that will drop your credit score though. Here is what you need to know. This type of credit card is a great way to establish credit regardless of your situation. Reason behind the success of this card is because it reports to the credit bureaus as good revolving credit. This card does require a deposit of your own money into the banks account, typically around $300. The good news is with a little payment history you are on your way to save because you have higher credit scores now. It’s a small investment to save lots of money down the road. If you apply for too many credit cards to quick, your credit score will drop. The credit scoring models look at this as high risk. I would just apply for two credit cards only, that is all your really need. When your credit scores are calculated the length of credit history is a factor as well. If you just applied for credit cards your credit scores could drop, but they will eventually go up. There are all kinds of factors in the credit scoring process, and if its new credit it will take some time to see improvement in your credit scores. But remember this is the quickest way to increase your score though. There are several reasons why you may not have a credit score with Equifax. Based on what you told me it appears that you don’t have any current credit revolving on your credit report. You are stilled getting scored with the other two credit bureaus because of old credit. Some of the creditors may have stopped reporting to Equifax due to no activity. If you want credit scores with all three credit agencies I would recommend opening some new credit cards. Once you have a bout 6 months of good payment history you should have credit scores with each credit bureau. To have better credit scores it would not hurt to have a mix of credit, like auto loans, mortgage loans, and credit cards. All of this is part of the credit scoring process. You are currently browsing the archives for the fico score category.